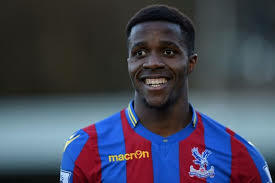 With Cote d’Ivoire announcing their squad to take part in the Africa Cup of Nations in Gabon next year, it has become clear that Crystal Place winger Wilfried Zaha has snubbed England. The 24-year-old was born in Ivory Coast but has two England caps, having played against Sweden in November 2012 and Scotland the following year. Both were friendly games hence he is permitted to play for his country of birth. His absence comes as a blow to new Eagles boss Sam Allardyce who will be without Palace's most consistent performer this season as the team bids to get out of relegation danger. Other notable players selected by the Ivory Coast include: Man United defender Eric Bailly, Stoke striker Wilfried Bony, Bournemouth winger Max Gradel, Sunderland defender Lamine Kone and Aston Villa forward Jonathan Kodjia. The tournament is set to start on 14 January 2017, but Cote d’Ivoire’s first game is against Togo on January 16.